Energetic man listening to music in headphones. Handsome afro-american guy in headphones dancing and giving thumbs up on blurred background. 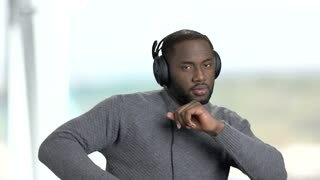 Close up african american guy listening to music. 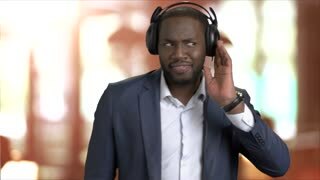 Handsome Afro American businessman in headphones is listening to music and dancing on chroma key background. Enjoy of music. 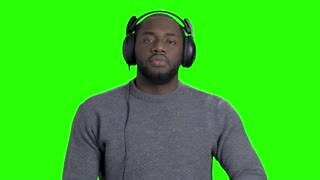 Man in headphones is dancing on green screen. 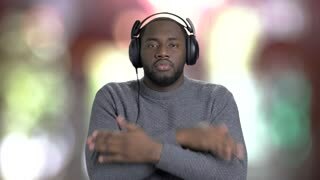 Cheerful energetic african-american guy is listening to music, dancing and showing thumbs up on chroma key background. Cheerful afro-american guy in headphones. 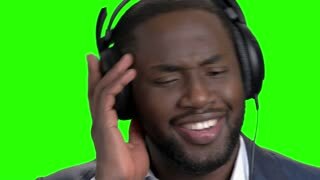 Happy smiling dark-skinned man listening to music in headphones and dancing on chroma key background. Music for good mood. Afro-American guy in headphones is dancing. 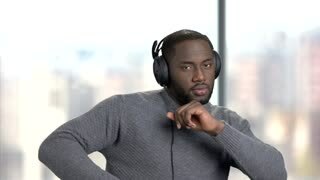 Handsome african-american man listening music in headphones and dancing on blurred background. Cheerful man enjoying listening music. Afro-american guy in headphones is dancing on blurred background. Enjoy of music. Handsome businessman listening to music in headphones. Cheerful guy in business suit listening to music and dancing on blurred background. Joyful businessman listening to music in headphones. 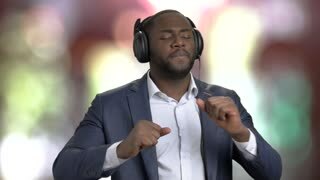 Handsome afro-american businessman enjoying listening to music on blurred background. Handsome man in headphones is listening to music. Cheerful afro-american guy listening to music and dancing on checkered window background. Black man in headphones is dancing. Afro-american handsome guy listening to music in headphones and dancing on blurred background. Man in headphones is listening to music. 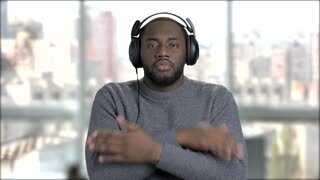 Handsome afro-american guy in headphones dancing on blurred background. Enjoy of good music. Stylish teenage boy giving thumb up. 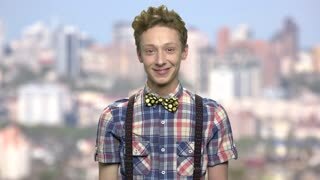 Handsome caucasian teen guy in checkered shirt looking at camera. Blurred city background.